Fully water, oil, acid, and dirt resistant adhesive material. Oeko-tex standard 100, safe for human skin contact. Zero light reflection (no flash - eliminates glare). This product is designed to be shaped on any product the user would like to apply it to given that its on a hard surface. 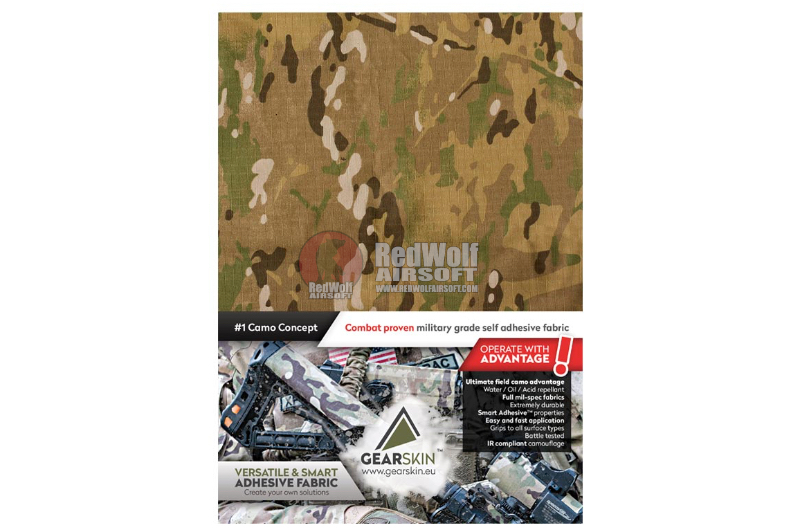 The Gearskin EXTRA is a 105x30cm piece of adhesive fabric designed to add camo patterns on otherwise camo-less pieces of hard gear or weapon systems. 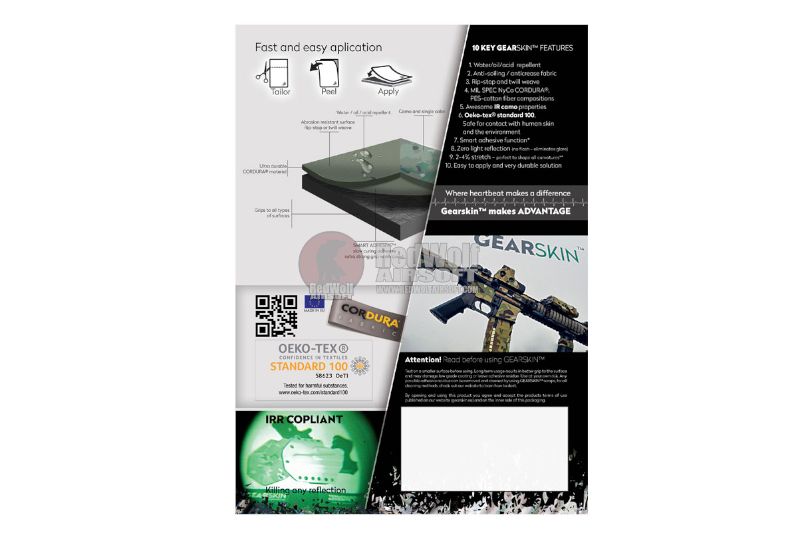 The Gearskin is easy to apply and works with all hard surfaces. To apply the gear skin, first draw out the approximate dimensions of the item you want to cover with camo. Cut out the rough shape and apply. Some fine tuning and minor adjustments might be necessary to reach the desired effect.